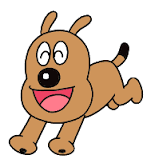 HomeTV ShowsJapanese TVAnimeSore Ike, Anpanman! There’s no real way to describe this show. You just have to see it to believe. 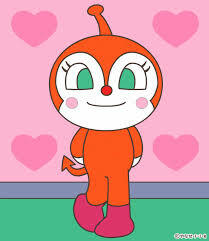 Anpanman is an animated show geared towards preschool age Japanese children. This doesn’t keep it from appealing to 30 something native English speakers as myself. Each 30 minute show typically features two 11 minute episodes with the same basic plot over and over. “Why the appeal, you ask?” It’s so cute and funny, sometimes intentionally, sometimes not. It was a great tool for learning Japanese when I first came to Japan as the characters repeat greetings often and it features festivals, seasonal foods, dances, costumes, school events, Japanese customs, Japanese holidays, through a cast of characters so plentiful (nearly 2000 in all!) the show was recognized by Guinness in 2009. This variation of characters is partly responsible for its timeless appeal. Batako-san can understand and interpret for all. At the center of it all is Anpanman. Anpan is a favorite of many Japanese, a sweet bean-paste filled pastry which is the classic Japanese cop snack when on a stakeout. He can fly, has no need to eat or drink, and has a couple of powerful attacks that come in handy during his adventures: An-punch and An-kick. The reason for his attacks is the relentless adversary, the brilliant inventor, the unclean, the bottomless appetite, Baikinman. Baikinman is a really unpleasant character. He isn’t just unpleasant for a nursery school kids show, he’s an absolute jerk. Almost every conflict of every episode has him to thank for it. He is greedy, selfish, self-absorbed, moody, quick to anger, and dirty. 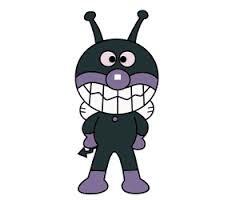 Baikin means germs so he is a sort of living germ who wants to pollute everything and take what he wants whenever he wants. Kinda badass, really. The things he can do with a hammer, too: repair glass, his UFO, whatever monstrous creation he unleashed, all fixed by several slams from his hammer. He is also a “master of disguise” and will often dress up like guest characters or Uncle Jam and apparently, none of the characters can tell who is who. It’s funny to watch. Invariably an episode will start out with Baikinman harrassing some regular cast school children for their lunches or just because he likes terrorizing kids. Either Anpanman or the guest character will come to the rescue. Anpanman will here execute his mid-episode An-kick move which only temporarily damages his UFO sending him away to fix it with his hammer. #2 Baikinman will damage or dirty Anpanman’s head requiring Jamu Ojisan and Batako-san to make and bake a new one. The damage to Anpanman’s head severely depletes his strength and at this time, the guest or regular cast extras will scramble to contact the bakers so as to effectuate his revival while fending off Baikinman, who takes no time in realizing his opponents weakness..The bakers hurry to Anpan-Go and get fast to work mixing, kneading, and baking while Cheese, the dog drives with a suitably stern expression. They always arrive in time. Here is where Batako-san demonstrates her Olympic class throwing skills. She manages an overhead pass out of the top hatch of a moving vehicle while standing on the in-car ladder with deadly accuracy. The freshly baked Anpanman head knocks off the wet, dirty, dented, half eaten old head. 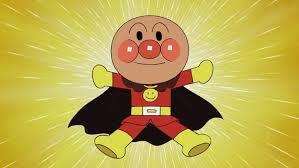 Anpanman breaks out of whatever bonds or hold Baikinman has on him and declares he is Genki hyaku bai! (100 times Better!). #3 This is a rare but pleasant outcome. Generally Baikinman and his cohort Dokinchan can be seen as a couple of emotionally unbalanced folks with control issues. When they’re hungry, they’ll eat anything that’s easy even if it means stealing it from school children or tricking whichever guest character is cooking up the flavor of the week. Kind of like the Trix bunny or the Lucky Charms leprechaun, they just want something to eat. On these once every 6 week instances, the guest character gives Baikinman what he wants or his disguise act backfires and he ends up having to earn his grub. Satisfied, he and Dokinchan will go home with any conflict whatsoever. The seemingly endless roll call of characters is truly varied and full of interesting twists. 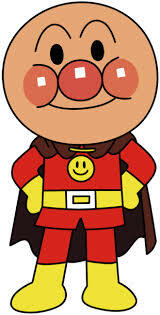 Two heroes with similar strength to that of Anpanman are Currypanman and Shokupanman. They’ll often help in administering the final blow to Baikinman using Double Punch and Triple Punch depending on who all shows up for the showdown. Each of the characters are educational in that they teach kids about different kids of foods and that they’re all yummy and healthy for you. It’s hard to argue with an anthropomorphic leek or clove of garlic telling you to eat your greens. My favorite of these side characters is Okura-chan. She’s a soppy character who grows vegetables and delivers them solemnly to characters all over the land. Before she parts with them, she tearfully begs them to “be good tomatoes, spinach, leeks, eggplants etc” and to become delicious foods for whomever eats them. This is a masterstroke of epic proportions. Her tears shame people into not wasting foods or being overly picky. I can hear young housewives now, “Eat your onions, Taro, You’ll make Okura-chan cry!” A perfectly conceived character. Guess what? She actually likes Baikinman and always stocks him up with loads of veggies which he will usually refuse out of shame when the tears start flowing. There are so many cute and interesting characters than every week is a joy to behold. Check it out Sundays at 6:15am (or just record it like I do) or on youtube. It’s a fun and educational show. Anpanman is at USA/UK/Canada at 6:15 AM? In which country and channel? I love Anpanman anime so I need to know! It only airs on Japanese TV and in several other Asian countries to my knowledge. If you subscribe to the Japanese Hulu, you may be to see it. Thanks for commenting!